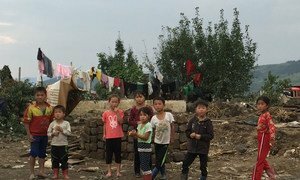 Children at a World Food Programme (WFP)-supported children’s nursery and Hasong Kindergarten in Sinwon County in South Hwanghae Province, Democratic People’s Republic of Korea, 9 May 2018. 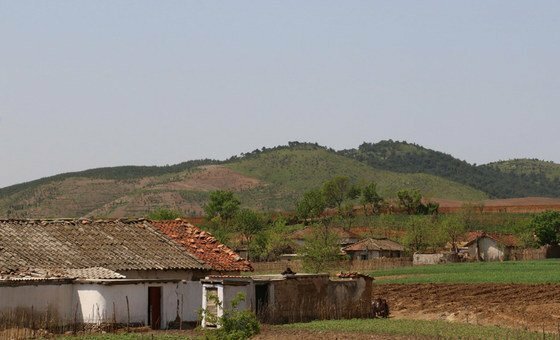 North Korea’s humanitarian situation remains dire, with widespread chronic food insecurity and malnutrition, the United Nations emergency food relief agency has warned, urging greater and sustained funding for its aid operations there. “We must not wait for diplomatic progress to alleviate the suffering of millions of people - funds are urgently needed now,” said Mr. Verhoosel. Diplomatic efforts continue to build confidence and denuclearize the Korean Peninsula. Click here for a timeline of major events. UN Secretary-General, António Guterres, has welcomed the latest efforts made towards building trust and reducing military tension on the Korean Peninsula, following his meeting with North Korea’s Foreign Minister Ri Yong Ho on Friday, during High-Level week of the General Assembly.